Dogs for Good explores ways that dogs can help people overcome specific challenges, and enrich and improve lives and communities. The charity’s assistance dogs support adults and children with a range of disabilities. More recently they have been training specialist handlers to introduce therapy dogs into schools and communities. 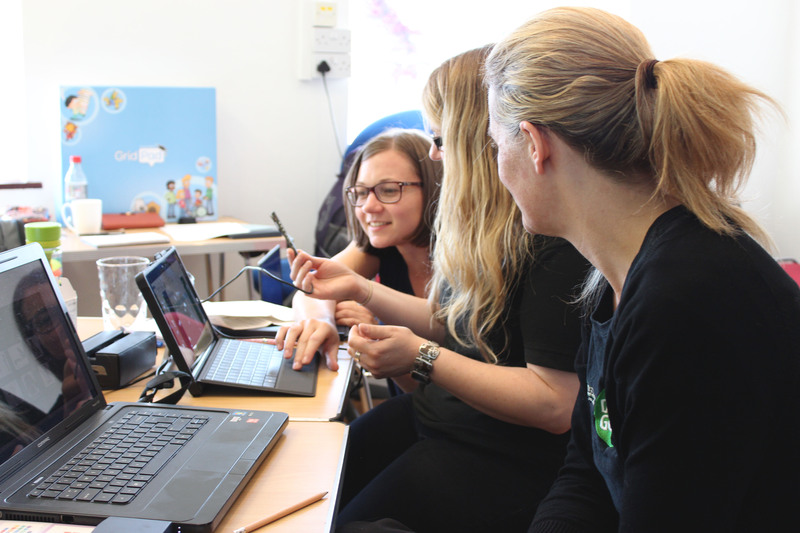 They also give specialist advice and support to help families with a child with autism get the most out of the relationship with their pet dog. Dogs for Good is working with a number of people that are physically limited. 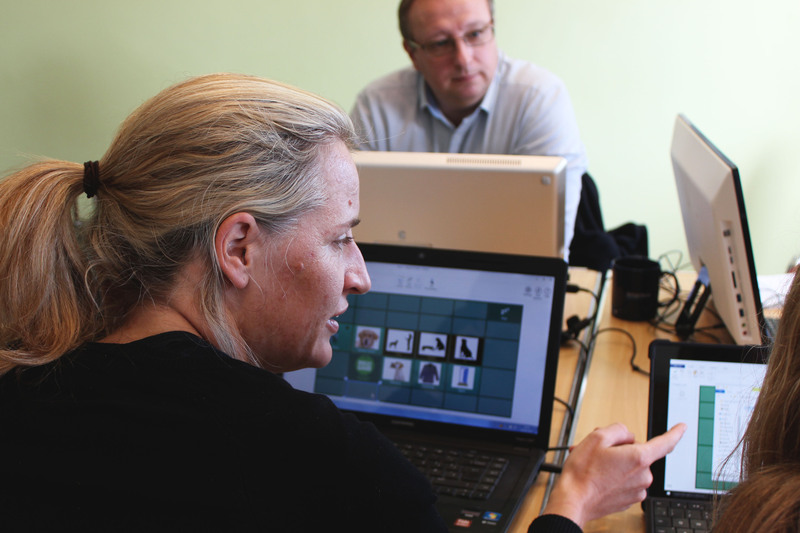 Within that, some of the people they help are also non-verbal (and some already using eye gaze). At the moment, the dogs are being trained using a selection of switch recording devices, each with different commands. This is where Grid 3 comes in. Being able to have an all-round device and reduce the number of switches would create a much more effective training process. It’s all about building that relationship between a person and their dog – and being able to communicate with them. We invited Dogs for Good to come and spend the day with us, and explore the options the Grid 3 could provide. 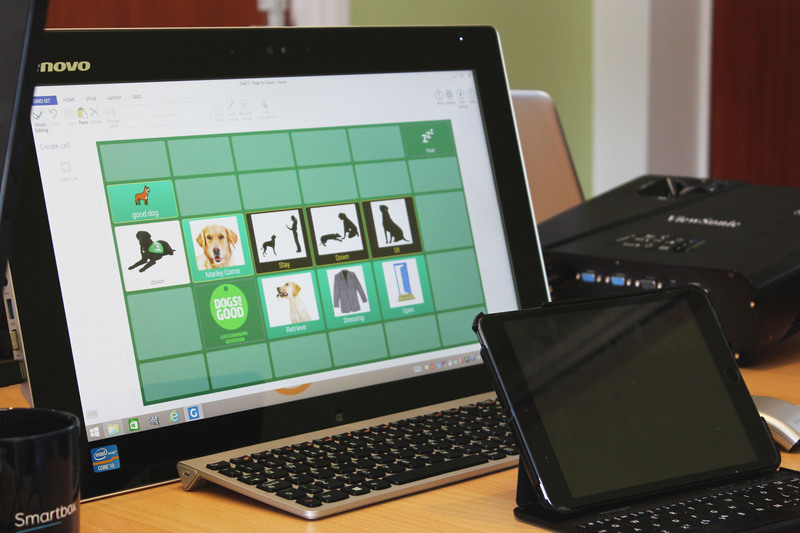 There was talk of building personalised grid sets for each user, and the possibilities Grid 3 could generate when it comes to preparing families for the arrival of their assistance dog. At the moment it’s the parent or carer directing the dog on behalf of the person that needs help. Instead of the parent and dog working to the child however, Dogs for Good want to build the relationship between the child and dog directly and enable the child to communicate directly with their dog. The ultimate goal is to develop a person’s independence within their own home.